Stryker Orthopaedic’s LFIT V40 Femoral Heads are utilized in a number of the company’s modular hip replacement systems. In September 2016, Australian medical device regulators issued a Hazard Alert for certain sizes of LFIT Anatomic CoCr V40 Femoral Heads manufactured before 2011, after Stryker received an unusually high number of complaints regarding taper lock failure. It is unclear if this issue will prompt Stryker to announce an LFIT Anatomic CoCr V40 Femoral Head recall for the components named in the Australian alert. What are Stryker’s LFIT Anatomic CoCr V40 Femoral Heads Used For? The LFIT Anatomic CoCr Femoral Heads were designed to offer surgeons the intra-operative flexibility to better match patient anatomy and restore natural movement. Stryker promises that these devices will enhance hip stability, minimize dislocation, and maximize range of motion. In 2014, Law360.com reported that Stryker had been named a defendant in at least five hip replacement lawsuits involving the Accolade TMZF hip stem used in combination with the LFIT Anatomic V40 Femoral Head. The complaints, which had all been filed in New Jersey’s Bergen County Superior Court, alleged that the titanium material of the hip stem would not maintain structural integrity when used in combination with the chromium/cobalt femoral heads. Plaintiffs claim that this may result in fretting and corrosion that releases toxic metal ions into recipients’ bodies, causing severe and permanent destruction of bone and tissue. In September 2016, the Australian Therapeutic Goods Administration (TGA), in consultation with Stryker, issued a Hazard Alert pertaining to certain lots and sizes of LFIT Anatomic CoCr V40 Femoral Heads. According to the notice, some devices manufactured before 2011 had been associated with a higher-than expected rate of taper lock failures. 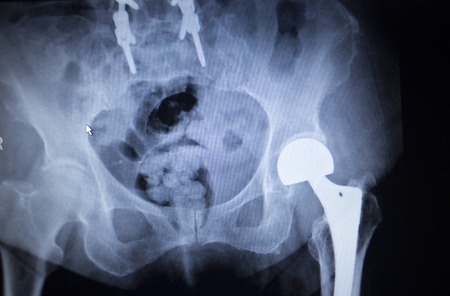 The taper lock is the part of the hip implant that connects the femoral head to the femoral neck. Patients in Australia have been advised to consult their implanting surgeon if they experience unexpected pain, loss of mobility, inflammation, instability, or other issues related to the implant. Recipients of these devices may be able to to pursue legal action, even in the absence of a Stryker LFIT V40 Femoral Head recall, if they experienced complications allegedly related to taper lock failure. To obtain a free, no-obligation review of your potential Stryker hip lawsuit, please contact Bernstein Liebhard LLP today, by calling (888) 994-5118.